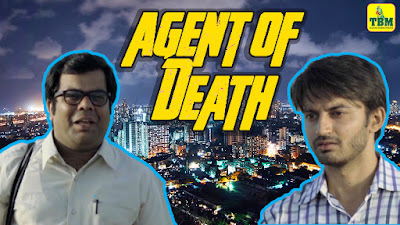 Checkout "Agent of Death" Inspiring Short Movie Explains Why Suicide Is Not The Answer To All The Problems. This short film is about a man who was going through a bad time and decided to commit suicide. As he was about to jump from a building, he met someone there who completely changed his perception towards his life. Agent of Death, Hilarious Comedy Short Film 2016, His job is to make your journey into death the most exciting journey of your lifetime. Complete professional services with after-death service, social network updates on Facebook, twitter, last selfie and vlog. Must watch this inspirational satire on life and death. #DarkComedy #ShortFilm with Full HD + 5.1 Surround Sound Audio.